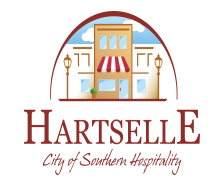 The City of Hartselle’s Building Inspectors are highly trained and certified to perform inspections on residential and commercial construction. They attend continuing education courses throughout the year to be certain that their knowledge of changes and updates to the building codes are current. Inspection requests called in after 2:30 P.M. will be scheduled for the next business day. In cases where an occupied home is without power or heat, exceptions may be made to restore power or other utilities.